When hobby artist Loreen Pantaleone was injured after a riding accident with her horse, she was left with an arm injury that made it near impossible to paint again. She turned to doing tabletop art, but her passion was always with the animals, and better yet, animal heroes. 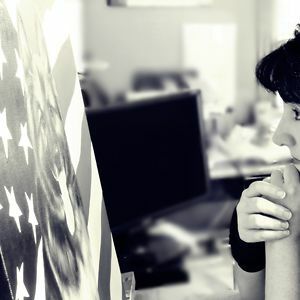 She continued working her job at a financial firm, but knew that wasn’t where her heart was, and unfortunately, even after a surgical procedure and arm braces provided no relief, she thought she would never be able to truly express herself through art. Then one day on Facebook, Loreen saw an image of a grieving U.S. Army soldier hugging his military working dog for the very last time. Regardless of the discomfort she knew would happen if she raised her arm to paint, she was determined to provide this soldier with a beautiful painting of his K9 partner to pay tribute to the obvious bond they had. When Loreen was working on this “Gabe” painting, her life changed forever. 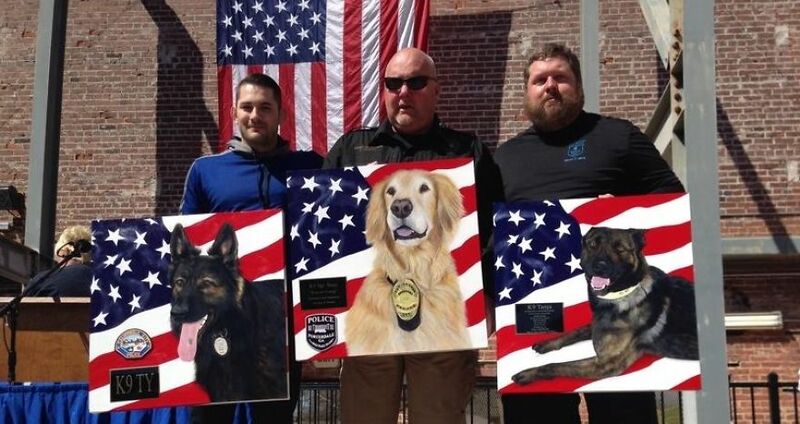 Five years later, Loreen is the founder and artist behind The K9 Hero Portrait Project, painting large tribute paintings of fallen K9 Heroes (and some equines), and donating them to their handlers. 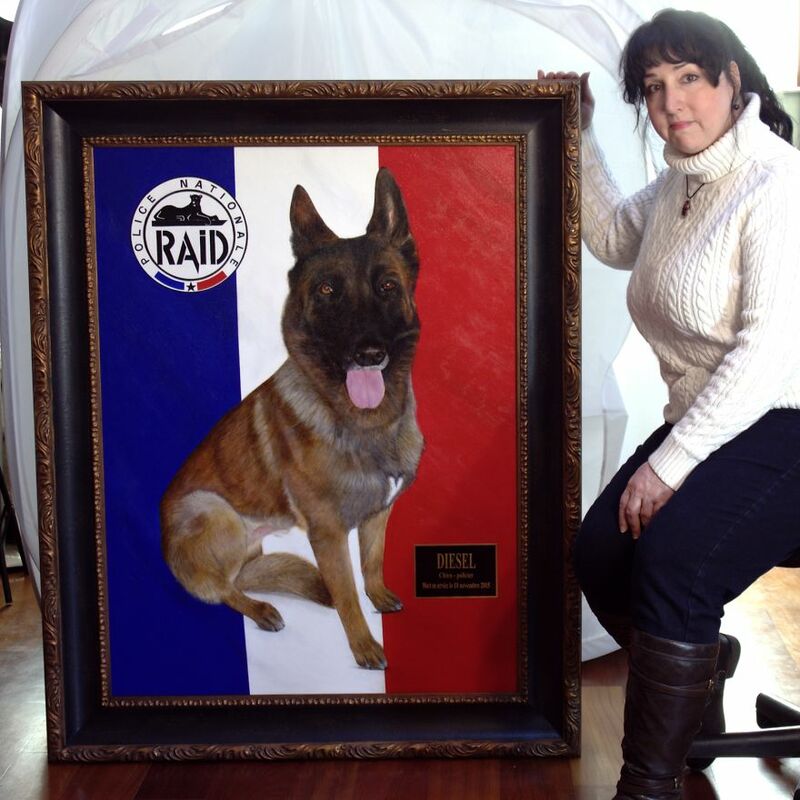 She quickly became the world’s top working dog artist and has completed 55 paintings, including two from the Royal Danish Air Force and a special request by the Embassy of France of France’s first ever police K9 lost in the line of duty during the ISIS attacks in Paris, K9 Diesel. Loreen now travels the world presenting her tribute paintings to the handlers who were bonded with their K9 partners. The stories of each of these heroes can weigh heavily at times. 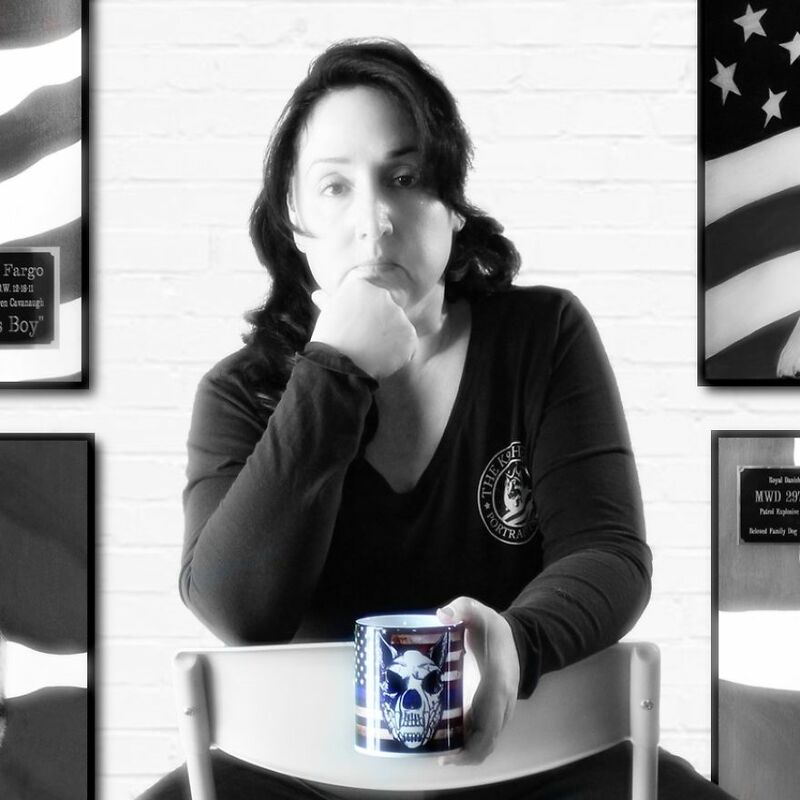 Internationally known artist, painting life-like tribute portraits of fallen police and military K9s. Humans and dogs have evolved together for thousands of years, what a fitting way to celebrate the unique relationship we share.